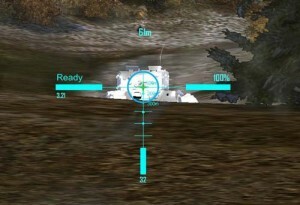 Terminator sight for World of Tanks is made in a turquoise color. 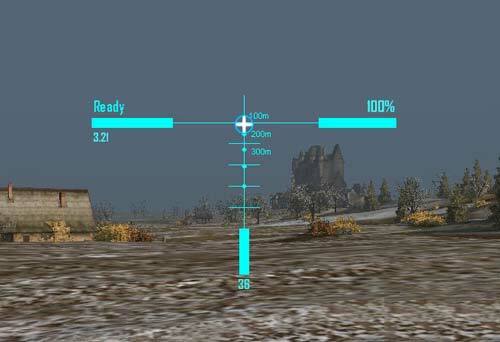 Shows the distance to the target, and the percentage of recharge your health. 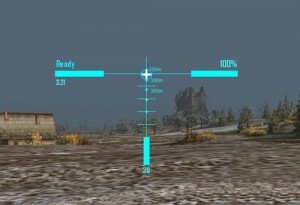 Please upload a version that shows remaining health/full health instead of just a percentage please.